Corporate culture is determined by human behaviors. It reflects the values shared by people who interact with an organization, affects the choices people make and impacts the day-to-day operations of the business process. These influences help companies become aware of the different habits of a variety of people (staff and consumers), enabling them to create a more sustainable and positive culture. The phrase "this is how we do things around here" is not only a key denominator of behavior, but when applied to employees' daily habits, it reveals how strong or weak a company's culture is. For example, if an anthropologist observes staff rushing through tasks to meet specific deadlines, the workers' main focus (and therefore the company’s) is on speed of production, not necessarily on quality. It could be on quality if the fast processes have ways to reduce errors. But, as you can see, when the focus is on one thing, it might be missing out on other things. Just hang out and watch your own staff go through their day and see what matters to them. This maybe how they deal with clients as well. What happens inside your company typically is applied outside the company. In fact, you are often proud of how you team is "living the brand." Here's another example: In 2013, Intel’s in-house anthropologist, Dr. Genevieve Bell, was tasked with determining driver behavior during the company’s collaboration with Jaguar Land Rover. Following Dr. Bell's discovery that drivers use smart devices despite voice-command systems, she advised the two companies to develop a system of car-to-device synchronization when drivers enter their vehicles. Ultimately, this led to a better driving experience for Jaguar drivers, and Intel being hired by Toyota on a similar project shortly thereafter. These two examples illustrate how behavior patterns provide insight into which habits can benefit a business, and how incorporating positive ones can improve both the workplace environment and the customer experience. 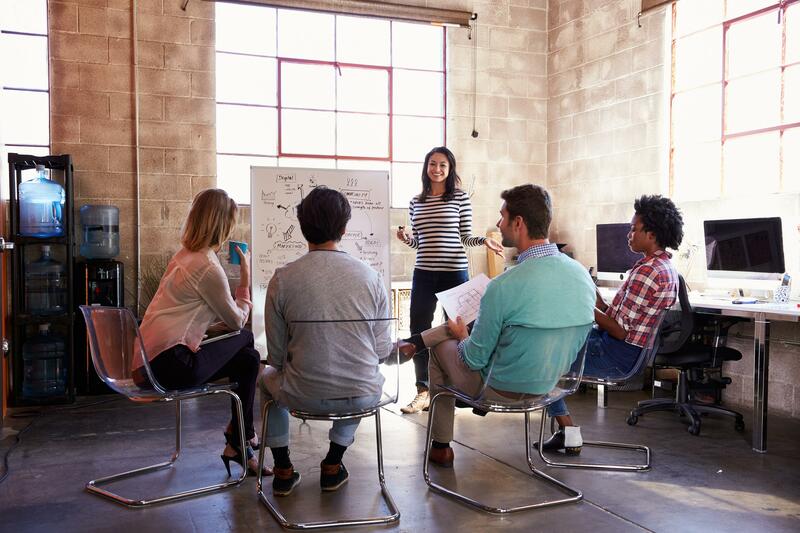 Behavior-related insights can also influence other aspects of a business and help owners and executives create the ideal culture in and out of the company. Interaction is another significant aspect of corporate culture. Based on the foundational work of Bronisław Malinowski in the 1920s, anthropologists still use fieldwork and participation to spend time with employees and customers to determine how people interact with brands. This helps companies reveal the various product traits that people hold in high regard. Participation also allows experts to uncover the formal and informal rules that govern individual interaction and the common principles that guide higher social structures. A corporate anthropologist will listen in on conversations to observe patterns in communication and language use. This leads to a better understanding of how relationships are formed inside the corporate culture and whether the qualities displayed in real situations align with the company's desired values. In the early 2000s, Adidas wanted to discover why customers led an active lifestyle despite not participating in sports competitions. They hired the firm ReD Associates, a strategy consulting company, which trained the company’s design team to conduct anthropological research. After spending 24 hours with a number of customers, the Adidas researchers came to the conclusion that 85% of women simply wanted to fit into their "little black dress." These findings helped Adidas determine the actual relationship people have with their products and how they use them to solve major pain points. By getting in touch with their customers, the company changed their entire outlook on how consumers interact with the brand. More and more, companies are employing corporate anthropologists to make sense of consumer behavior and decision making. Moreover, anthropologists' observational expertise allows marketers to better align promotional messages with their target audience and increase performance by adapting semantic meaning to improve communication and cross-cultural understanding. In traditional market research, marketers rely on data — usually numbers and past decisions— to form an opinion about their customers. However, anthropology's holistic approach employs critical methods to understand the whole consumer process, not just the decision. This approach is widely adopted by global corporations and businesses that have a culturally diverse audience. Such companies use ethnography (a sub-division of anthropology) to help them create advertising that will affect consumer decisions based on culturally-accepted norms and in addition, improve comprehension of the marketing message. Case in point: In 2015, Coca-Cola wanted to celebrate the 75th anniversary of the soft drink Fanta but in doing so, overlooked a culturally significant reference. The ad explained how Fanta was invented during the Nazi regime in the 1940s, but short-sightedly, Coca-Cola neglected to take into account that the audience would find this reference extremely offensive. What a cultural mistake that was! Bad advertising like this is a prime example of how cultural ignorance and traditional market research can lead to miscommunication and negatively affect consumer behavior. On the other hand, effective ethnographic observation of consumer behavior, practices and decision-making can produce ads that are not only effective at achieving marketing goals (sales) but that are so culturally insightful as to change social behavior. An ideal example is the Always #LikeAGirl Super Bowl halftime commercial from 2014, which questions how femininity is perceived in Western Culture. With this ad, Always raised awareness about a burning issue among its target audience (women), specifically, the negative treatment of women and girls. By tapping into women's emotions and inner lives, Always showed women that their company "gets it," while also subtly reinforcing its brand. Rick Harris: Shouldn't You Want to Delight Patients and Deliver Care? Ready to Embrace Corporate Anthropology? Without a doubt, corporate anthropology is here to stay. Every year, more and more companies are reaping the benefits of its tools and methods to aid and improve their market strategies in an increasingly competitive business environment. Corporate anthropology is also driving change in the world at large, and those who don’t embrace it fail to grow and miss key opportunities to move their enterprise forward. At Simon Associates Management Consultants, we understand how difficult it can be to change. That’s why we've built a team of professionals who specialize in working with businesses that need or want to change. We can help you re-think your business strategy and apply the concepts, methods and tools of corporate anthropology to drive change in your organization. Contact us today and schedule a meeting to find out how corporate anthropology can help your organization overcome its challenges and adapt to today's changing business environment. To learn all about how we apply anthropology to business, please visit our website.